For an easy, nutritious meal prepared in under 10 minutes, it’s hard to go wrong with this butter bean and spinach quesadilla. Butter beans are a good source of protein, iron, zinc, and magnesium, making them a nice vegetarian alternative to meat. Rich in fiber and B vitamins, they are also a low-energy-dense food, helping to keep you full and maintain a healthy weight. Nutritional information isn’t persuasive if the food is unappealing, though– thankfully, butter beans are delicious! They have a smooth, creamy texture and a light, pleasant taste, making them incredibly versatile in a variety of meals. I like mine mashed with some garlic powder, salt, and pepper– and I especially love to use them in quesadillas! Mash your butter beans together with the garlic powder, basil, salt, and pepper. Spread this mixture evenly over your tortilla, then top with mozzarella cheese. Grease a pan with cooking spray. Cook the spinach until wilted, then layer it on top of the cheese. Fold your tortilla and cook over medium heat until the cheese melts and the tortilla is browned on both sides. Make it vegan with dairy-free cheese shreds. Make it gluten-free with GF tortillas. 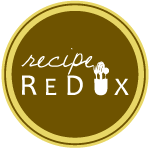 Shared at Meatless Monday with Deborah and Sarah; Meatless Monday with Running on Happy and The Fit Foodie Mama; Tips & Tricks link party; Wow Us Wednesdays; the Wednesday Showcase; What’s Cookin’ Wednesday; Thoughts of Home on Thursday; Weekend Potluck. For a complete list of where I share, click here. What a delish and interesting twist on the classic bean quesadilla! Looks so good! What a yummy combo and genius idea! Never would have thought to make a quesadilla! Haha, this is weird, but I absolutely LOVE butter beans! (They are so underrated in the bean rankings) Haha! Easy and plant protein packed, I love it! Happy Meatless Monday, thank you for linking up with us. What a lovely filling for a quesadilla! I’ve never though to put butterbeans in one but this filling sounds really filling and tasty. I think my children (or at least one of them!) might like it too. Confession: I’ve never heard of butter beans. Yes, I live under a rock. But this looks really good and I bet my kids would love it, too. Wow…what a neat recipe! YUM! Can’t beat quesadillas for a quick and easy meal and this combo sounds delicious! I love how creamy butter beans are and paired with spinach sounds like a great healthy lunch or vegetarian dinner! Sounds like a wonderful, quick and healthy meal. Thank you for sharing this recipe at The Really Crafty Link Party this week. Pinned! I haven’t had butter beans in forever, but this reminds me that I am quite a fan! I’ll have to keep my eye out for some! We love Butter Beans and this is a great combination for a Quesdilla! Hope you have a very special Fathers Day Weekend and thanks so much for sharing with Full Plate Thursday. This sounds quite tasty, healthy and easy to make. My husband loves any kind of bean – whether butter beans, kidney or whatever. I think he would enjoy this. Thanks for sharing on Real Food Fridays blog hop. Pinned & tweeted! Great idea to use butter beans! I bet they are really tasty in the quesadilla! Thanks so much for linking up with us for #HealthyVeganFridays!